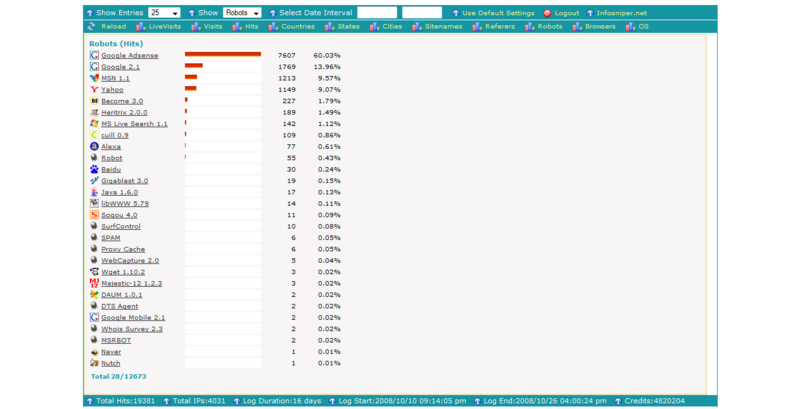 Infosniper Livevisits enables you to track and analyze all of your site visitors - even all visiting searchengine robots. Comparing to other stat scripts, the tracking is done in real time and you get all geolocation data like country, state, city, longitude, latitude, provider, sitename and referer. Also the operating system and browser data will be tracked in detail. 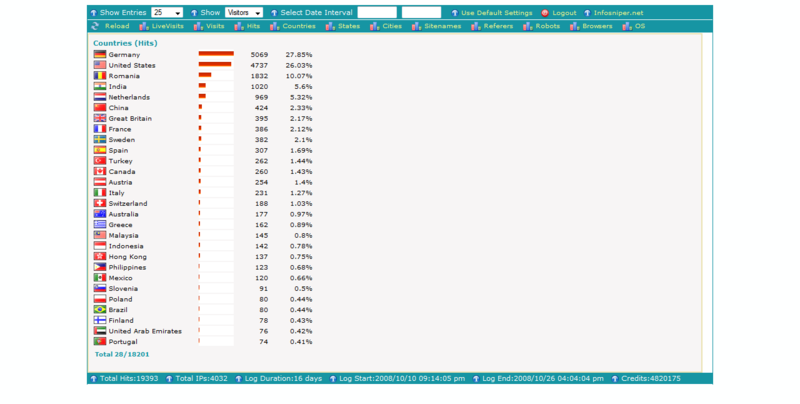 Besides tracking the users data in real time, you get detailled stats of all saved user data. If you want to analyze past visits, this is possible via choosing time intervals. 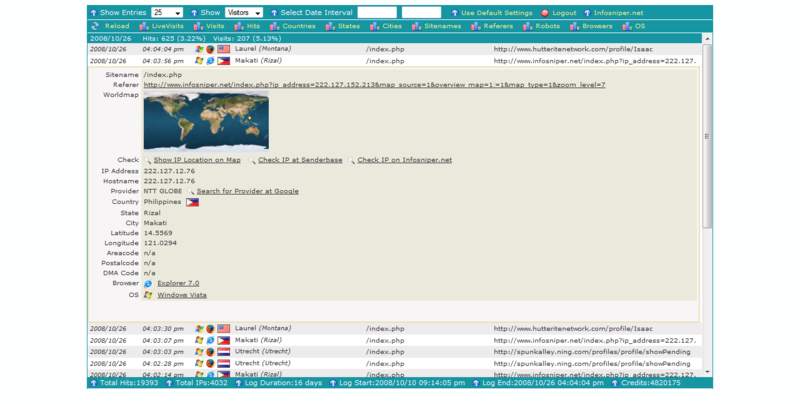 Infosniper Livevisits is written in PHP using MySQL Database Tables. It is FREE and licensed under the GPL. Detailed installation instructions can be found in /doc/install.txt within the download-archive. Here you can take a look at some screenshots. The script was tested using Firefox, Safari and Google Chrome Browsers. Internet Explorer can cause minor display problems. This will be fixed in future releases.